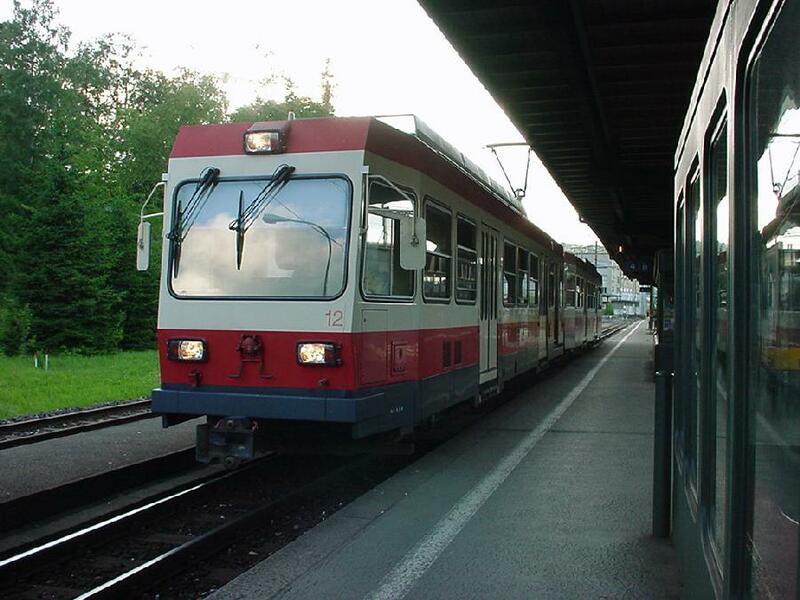 Switzerland is full of strange small private railroads. 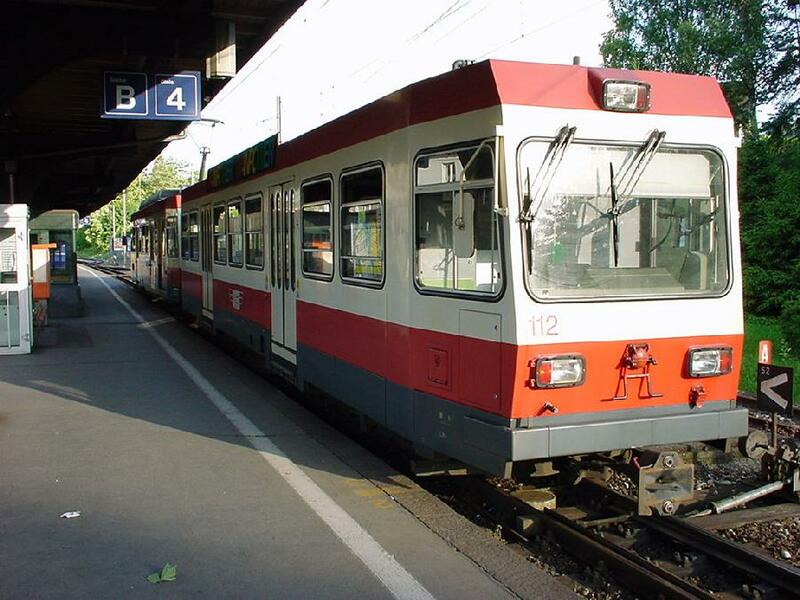 One of the smallest ones is WB or Waldenburger Bahn, which operates a really narrow gauge railroad with only 750 mm rail track width - the only one in the country with just a 75 cm gauge width. It runs from Liestal, the small capital town of Kanton Baselland, some 20 minutes, only 13 km, uphill along a river valley, sometimes in full countryside, but also serving small suburban style villages, ending at the village of Waldenburg. Waldenburgerbahn was opened for traffic in 1880. 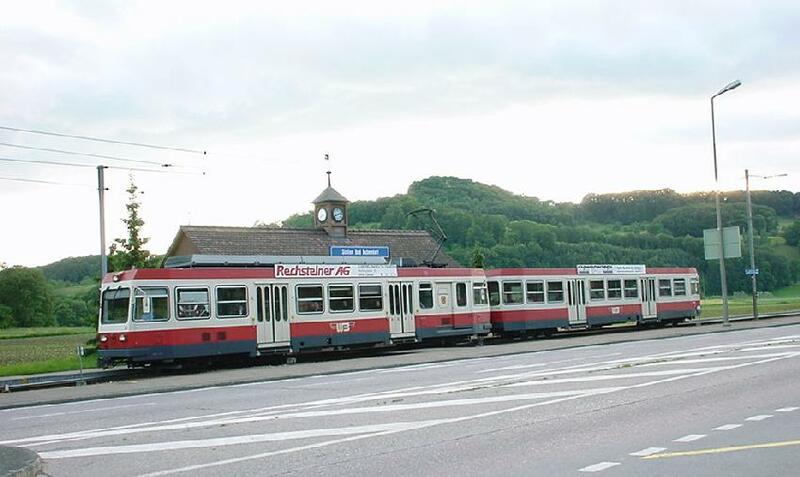 It brought workers to work at the Liestal area factories and it also connected the small villages of the river Frenke valley to the "real" railroad at Liestal station. Today WB has six modern two coach EMUs, running on 1500V DC. 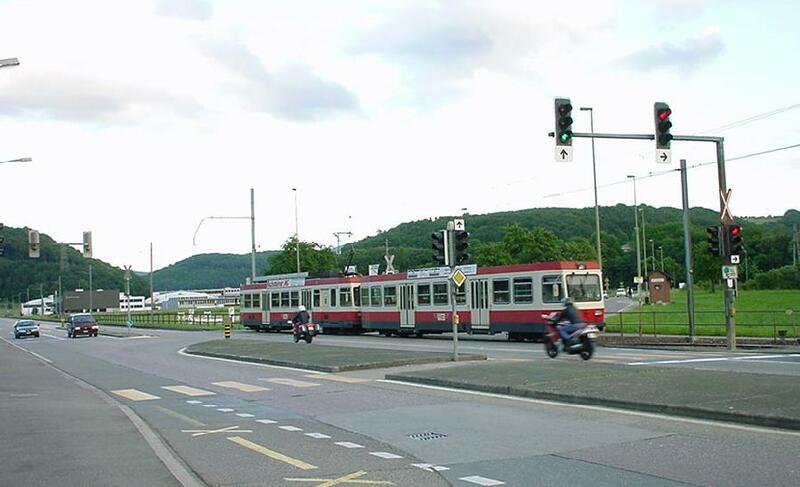 It looks like an odd crossing between a tram and a real train.